Monterey California events are plentiful at all points of the year, no exception. If you want to be able to enjoy great events any time you wish, no other Central California location can top gorgeous Monterey County. 1. Whalefest Monterey: Whale watching is one of the most beloved activities in all of Monterey County. People who want to learn more about the fascinating world of whale watching can't miss out on Whalefest Monterey. This thrilling event takes place at the end of January each year. 2. AT&T Pebble Beach Pro-Am: AT&T Pebble Beach Pro-Am is a February event that's a hit among serious golfing enthusiasts in the region. Monterey visitors and locals who love getting lost in dynamic golfing competitions always have a blast at AT&T Pebble Beach Pro-Am. The event takes place at Pebble Beach Golf Links, Spyglass Hill Golf Course and the Monterey Peninsula Country Club's Shore Course. 3. Next Generation Jazz Festival: Music festivals are plentiful in Monterey County. People who are fans of live music, because of that, never have to wait long. If you want to relish amazing live entertainment, you should head to the Next Generation Jazz Festival at the Monterey Conference Center in bustling downtown Monterey. Admission is totally free, too. This event begins at the end of March and continues into early April. 4. Pebble Beach Food & Wine: Pebble Beach Food & Wine is an event that's ideal for people who love all things that involve food and wine. Individuals can learn about celebrity chefs, mouthwatering gourmet offerings, fantastic wines and so much more at Pebble Beach Food & Wine. Wine tastings are a big part of the festivities, too. 5. Carmel Art Festival: Monterey County has a strong and thriving arts scene. If you want to witness it firsthand, all you have to do is head to the Carmel Art Festival. This May festival is terrific for those who wish to explore quirky art galleries in the area. It's also great for people who want to sit back and observe painting contests. 6. Carmel Valley Art & Wine Celebration: The Carmel Valley Art & Wine Celebration, true to its name, is all about the arts and wine. This Carmel Valley Village event takes place in June each year. People who are keen to try the best local wines shouldn't neglect it. The same thing goes for people who want to gaze at artwork from some of the most prominent regional artists around. 7. Salinas Valley Half Marathon: Monterey County is a great place for people who are all about physical fitness and well-being. It gives people access to plentiful outdoor activity opportunities. It also hosts the Salinas Valley Half Marathon in August each year. If you want to move your body and feast your eyes on some of the most beautiful views in the region, nothing can top the Salinas Valley Half Marathon. This event is perfect for people who want to stare at the splendor of the Santa Lucia Mountains. 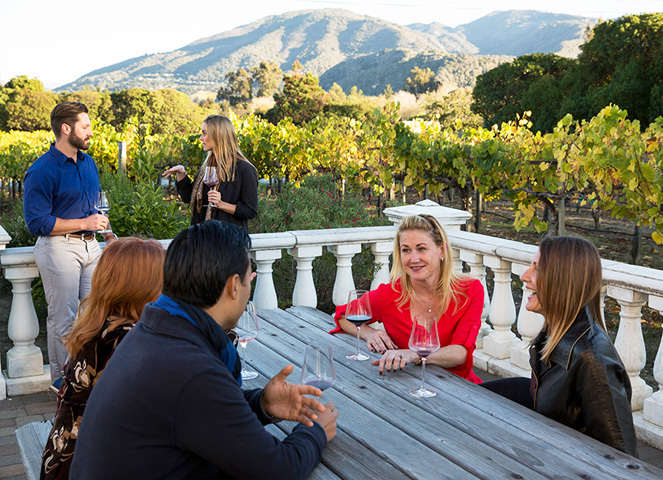 There's no arguing that Monterey California events are varied, fascinating and fun.